My Heroine Is Bisexual, Yes. And So Much More Than Just That. I wanted to write about a bisexual Indian woman because bisexuality is hardly given any air time in the discourse of LGBTQI matters . February is the month for Valentine’s Day. When the world looks fondly on as lovers declare or reaffirm their affections…actually, slight amendment there – the world only looks fondly on when the lovers are straight. Well, most of the world anyway. Thankfully, the need to recognise and validate love in all its forms is being increasingly recognised. In Auckland, New Zealand where I am writing from – LGBTQI issues are becoming more visible and their rights as citizens of NZ more entrenched in our civil society. But what about migrant communities in NZ, in this case the Indian New Zealand communities? That is the genesis of Mumbai Monologues. Agaram Production’s Mumbai Monologues does what it says on the tin – it is about living in Mumbai. Confession: I have been in Mumbai a total of 7 days in my life. I can’t (and won’t) claim intimate knowledge of living in the city that seems that capture the imagination of Indians and Non Indians alike. But I DO know what it is to live in a big city and have all these hopes and dreams and feel like I’m never going to get anywhere because I am afraid. To show the world who I really am. To admit I want what I actually want. THAT, I hope, is what people will realize when they hear my character in the story “Adrift”- one of the monologues being performed. My character is an extremely intelligent, eloquent, funny and ambitious Indian immigrant. She is also bisexual. A fact that freaks her out so much that she just shuts down. Until she is but a shell of a person with no friends because she has never let anyone get to know the real her. We join her as she stands alone as always, in the middle of some party and her life, as they say, flashes in front of her. I wanted to write about a bisexual Indian woman because bisexuality is hardly given any air time in the discourse of LGBTQI matters . The very idea of it is disconcerting because we like to deal in absolutes- you’re either gay or you’re straight, right? When the neat little labels we have for everyone and everything is challenged, what will we do? What I wanted to show through my monologue was that even though my character can’t see it yet, we are more than who we like to sleep with. While it is an important part of our identity, we are also much more than just that. Over and beyond anything, I wanted to get at the heart of her sadness. To realize suddenly that all the notions that had served as the foundations of your life is wrong. To find that what you thought was vital to your well-being was in fact the opposite…that is something we can all identify with. To be forced to re-evaluate how we see ourselves and our lives – that is not a pleasant process. But it IS necessary. Like my character, I think we all need to sometimes take stock and throw away the rulebook if it no longer works for us. So we can be true to who we really are. My heroine decides to do just that. Poorna Prakash, one of the Writers of Mumbai Monologues, sent this piece in. 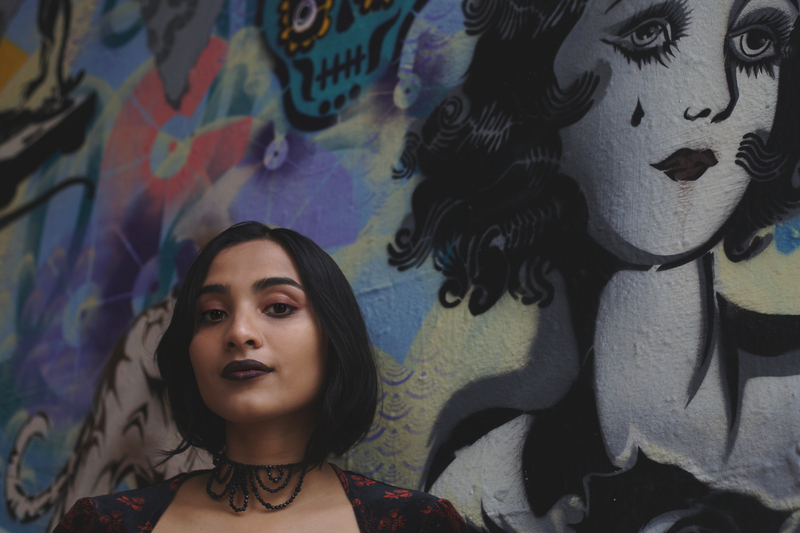 Here, Poorna tells us how and why she conceived the story of a smart, intelligence, funny, bisexual Indian Immigrant as her heroine - and as we like to scream from the rooftops at Gaysi - why being Queer is more than just one thing! Mumbai Monologues : A Thousand Unsaid Words. Sue Me, I’m A Dirty Bisexual!